Blue Ridge Realty knows exactly the way of selling real estate North Georgia! We have been representing property owners for over last 25 years. The area has grown tremendously over that time and is now well known for the beautiful mountain surroundings with lakes, hiking fishing, boating and a great quality of life. Our agents understand these changing dynamics and are ready to market your property to the wide range of buyers looking for property in this area. We combine our local knowledge with the marketing reach of MLS, the premier Multiple Listing Service. Many people today start their property searches on-line. When you list your property with Blue Ridge Realty, people all over the US and beyond can look at your property on-line. We handle the technology for you with pictures and descriptions that capture buyers ‘attention. Our agents help you prepare your house to enter the North Georgia Mountains real estate market. Blue Ridge Realty knows how to price your house and property to sell. We provide information on what has sold recently in your area, at what price and how your house compares to those properties and ones currently on the market. 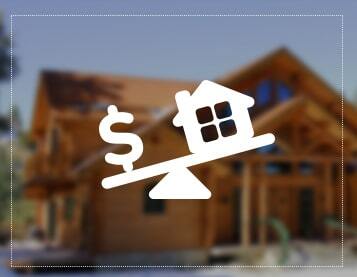 There are many factors that go into successfully pricing a home. We work for you and consider your success as our success. Contact us for a property evaluation.